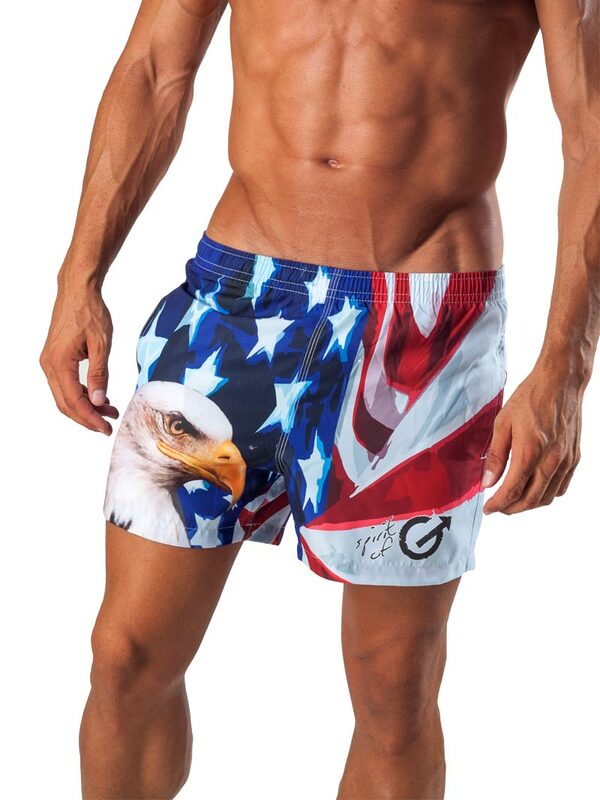 The eagle and the American flag never looked so good! 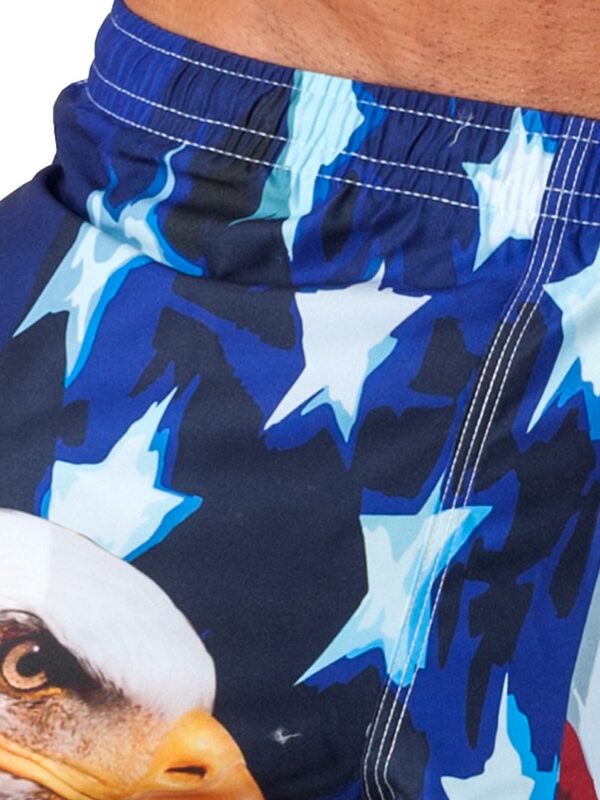 The Geronimo 1532p1 Eagle swim short is made of luxurious, lightweight and quick drying fabric. With quality stitching throughout and an eye-catching pattern with faded detailing, this trunk is gonna light you up like the 4th of July. The swimsuit feature a mesh support brief, two side pockets and a back pocket. These shorts are perfect for swimming, tanning, and playing all season long.